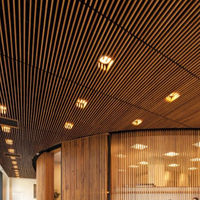 It has an open view, ventilation and ventilation. Its lines are bright and tidy, and the layers are distinct. 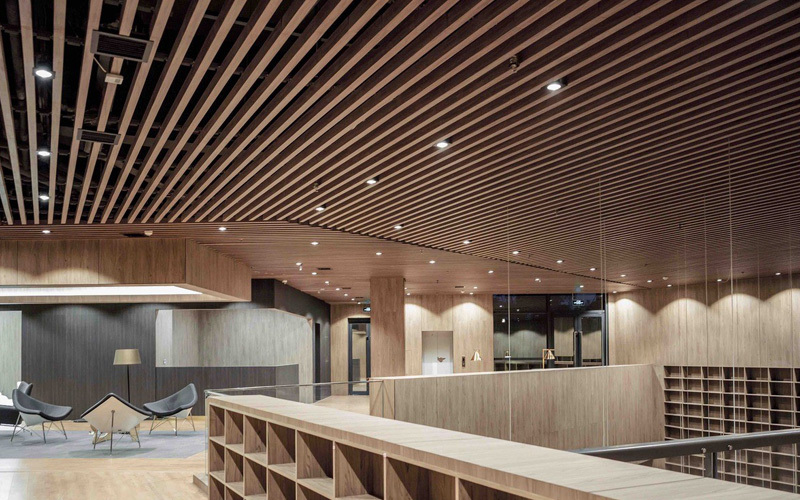 After installation, the whole space is harmonious and the soft three-dimensional lines reflect the simple and modern style. 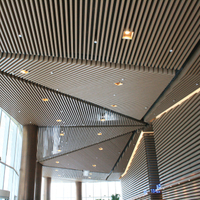 Aluminum baffle ceiling is an interior decoration product. It is beautiful, durable and safe. It has won the favor of engineering users. 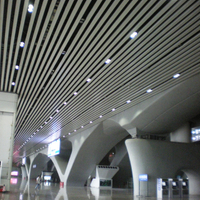 The aluminum surface treatment process has powder spray, wood grain, marble grain, frosted wire drawing, polyester, fluorocarbon. 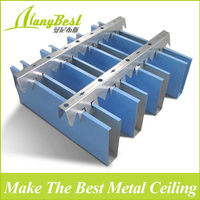 , roll coating, copper plating, etc. 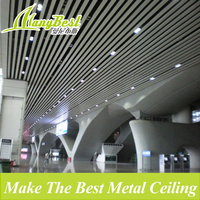 Aluminum baffle ceiling is widely used in subways, high-speed rail stations, stations, airports, large shopping malls, passages, leisure places, public toilets, building exteriors and other open spaces. 1. Pull the horizontal line according to the required level, and pull it vertically and horizontally. 2. Lift the light steel keel (38 or 50 keel) at a suitable spacing. The general spacing is 1-1.2 meters. The distance between the booms is distributed according to the regulations of the light steel keel. 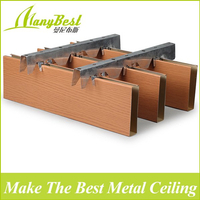 3, pre-installed on the keel hanging parts, together with the aluminum baffle ceiling keel under the light steel keel, aluminum baffle ceiling keel spacing is generally 1 meter, all must be adjusted to the level after loading. 4. 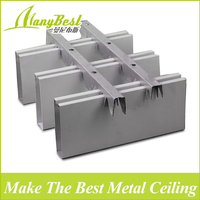 The aluminum baffle ceiling and the aluminum baffle ceiling series are sequentially hung on the keel, and then the reverse lock piece is pressed. 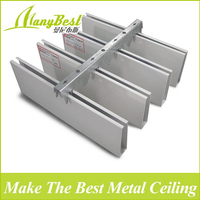 The aluminum baffle ceiling should be kept at a distance of 10 mm or 20 mm. 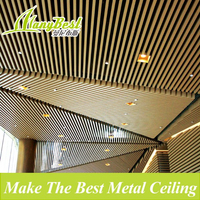 5, must install gloves when installing aluminum baffle ceiling, if you accidentally leave fingerprints or stains, you can use detergent to wash and dry.